This webinar examines recent trends regarding the countries and regions of origin for the unauthorized immigrant population in the United States at national, state, and county levels. 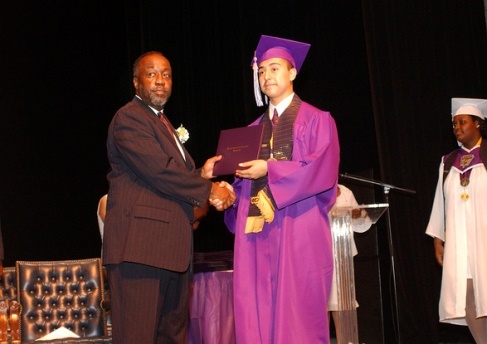 The event discussion, which touched on the intersection of race and immigration, focused on the demographics of Black immigrants (both African and Caribbean) in the United States and their children, their educational success, and the implications of the recently released volume’s findings for research and public policy. This conference, keynoted by USCIS Director León Rodríguez, featured panels on local immigrant integration policies; expected executive action on immigration; the treatment of unaccompanied children from Central America; and innovations in government-funded legal counsel and accelerated court cases. Marking the U.S. release of the 2019 Global Education Monitoring (GEM) Report, this discussion looks at different ways education policymakers, teachers, and civil society have responded to the educational needs of migrants and how to address the challenges that sometimes inhibit children from participating meaningfully and equally in education programs. This briefing focuses on migrants higher rates of on-the-job injuries. Taking stock of weaknesses in the WIOA-driven design of most adult basic education programming, MPI analysts draw on research from the integration, adult education, and postsecondary success fields in arguing for the adoption of an “English Plus Integration” (EPI) adult education program model, and discuss strategies for implementation. MPI experts, along with representatives from Gwinnett County Public Schools and the University of Georgia's Center for Latino Achievement and Success in Education, discuss the educational experiences of Georgia’s first- and second-generation immigrant youth and where Georgia’s ambitious education reforms have met—or failed to meet—the needs of this growing population. Experts on this webinar discuss efforts being undertaken in Maryland to serve refugee families with young children through tailored, trauma-informed approaches that address their specific mental health needs. This is the latest in NCIIP’s language access webinar series exploring the policy and program implementation imperatives for government and community agencies serving Limited English Proficient (LEP) populations. Experts discuss the effects of trauma on the development of young refugee children, and highlight ways early childhood education and care (ECEC) programs can address this trauma, including practical strategies that child-care providers in Canada are using to support the resiliency of refugee children and families. A report release examining PIAAC data on the skills of U.S. immigrant adults and whether there is a gap with native-born adults, and discussion of how these skills relate to key immigrant integration outcomes such as employment, income, access to training, and health. Marking the release of an MPI brief, experts on this webinar examine the key features of English Learner (EL) instructional models and discuss state- and district-level approaches to supporting schools in implementing effective EL program models, with a particular focus on what is being done in New York and Madison Wisconsin. This webinar covers key findings from MPI's report about the Deferred Action for Childhood Arrivals (DACA) initiative and eligible populations two years after its implementation, and also introduces MPI's data tool that provides national and state-level estimates of the current and potentially eligible DACA populations, as well as detailed profiles for the U.S. and 25 states. This webinar highlights findings from an MPI report examining the potential impacts of expected changes to the public charge rule by the Trump administration. Leaked draft versions suggest the rule could sharply expand the number of legally present noncitizens facing difficulty getting a green card or extending a visa as a result of their family's use of public benefits. The rule likely would discourage millions from accessing health, nutrition, and social services for which they or their U.S.-citizen dependents are eligible. This briefing at the State Capitol in Honolulu, organized in conjunction with the University of Hawaii at Manoa, marked the formal release of a Migration Policy Institute report that presents key demographic and socioeconomic information about the Mexican-origin population in Hawai’i. On this webinar, authors discuss their findings, highlighting promising policies and practices for serving young children of refugees and asylum seekers in nine key host countries, as well as key areas in which ECEC services need to be strengthened. In particular, the webinar looks at innovative national and local policies in Sweden that support young refugee children in their early learning experiences. A discussion with Rosario Farmhouse, Alejandro Mayorkas, Jasenko Selimovic, Peter Sylvester, and Demetrios G. Papademetriou, MPI President. This webinar focuses on patterns of home language use across different early childhood education and care (ECEC) program types, and the potential of the Sobrato Early Academic Language model to improve instruction and outcomes for DLLs in superdiverse settings. This awards ceremony, honoring the 2011 recipients of the E Pluribus Unum Prizes — a national awards program for exceptional immigrant integration initiatives — featured panel discussions with the awardees and federal officials and remarks by White House Director of Intergovernmental Affairs Cecilia Muñoz and Assistant Secretary of Education Brenda Dann-Messier. With immigration increasingly visible in the news and the political space in the United States and internationally, getting access to accurate, high-quality data is essential to understand immigration’s demographic effects and impacts on the economy, education and labor systems, and communities. This event marks the release of the Immigration Data Matters guide. During this webinar, speakers provide an overview of an MPI policy brief that seeks to raise awareness of the intersection of trauma and early childhood development, and how U.S. early childhood programs could more effectively address this trauma in young children in refugee and immigrant households. The participants discuss efforts to integrate trauma-informed approaches into early childhood systems and how home visiting services can effectively address trauma and mental health through a two-generation approach. In an era of stepped-up immigration enforcement, speakers at this event present their research on the impact of enforcement policies on children from immigrant families and U.S. public schools. A webinar examining the outreach and initiatives by educational institutions and other community stakeholders seeking to support the education and training success of grantees of the Deferred Action for Childhood Arrivals program. As the number and share of Dual Language Learners (DLLs) continues to grow across the United States, diversity within this population is also increasing. This webinar marks the release of a report providing analysis of the diversity within the DLL population nationwide and at the state and local levels. Speakers discuss data on the three rapidly growing subgroups within the DLL population: Black and Asian American and Pacific Islander DLLs and young children of refugees, and the implications for the early education and care field and K-12 education systems. A discussion and report release on the Deferred Action for Childhood Arrivals (DACA) program, how its educational requirements may be impacting application rates, and recommendations for overcoming the education-success challenges that key subgroups of DACA-DREAM youth face. Video of How Are School Systems Responding to the Needs of Immigrants, Refugees, and Unaccompanied Minors? How Are School Systems Responding to the Needs of Immigrants, Refugees, and Unaccompanied Minors? 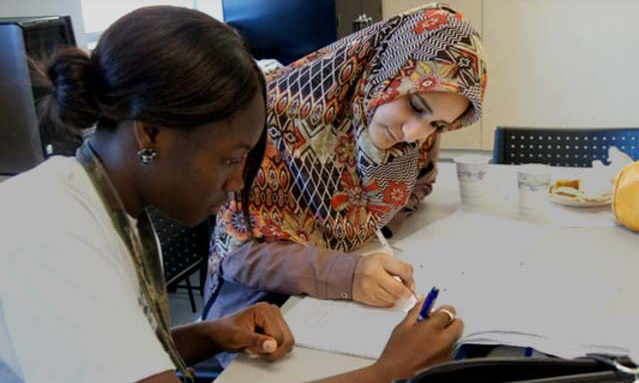 Marking the release of an MPI report, this webinar explores some of the responses made by school districts to bring immigrant and refugee newcomer students up to speed in English and basic academic skills, all while focused on the educational system’s ultimate goal of high school completion with the skills necessary for today’s college and career demands. The discussion focuses on how schools create and expand systems around the identification of students’ immediate and ongoing academic and socioemotional needs, and how they design programs and curricular pathways to balance these needs with state policy constraints. 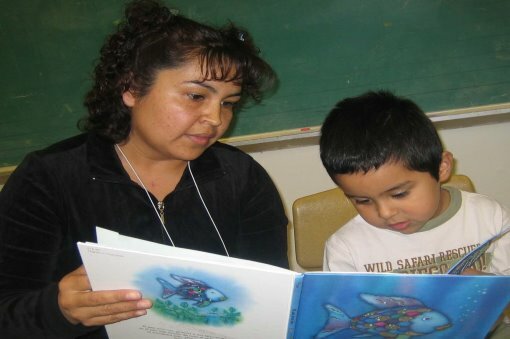 The authors of the report "Immigrant Parents and Early Childhood Programs: Addressing Barriers of Literacy, Culture, and Systems Knowledge" discuss their findings on this webinar. They and other presenters detail the experiences and challenges faced by early childhood programs and immigrant and refugee parents as they connect with one another. Video of Are States Recognizing and Responding to the Needs of Their Dual Language Learner Children? Are States Recognizing and Responding to the Needs of Their Dual Language Learner Children? Dual Language Learners (DLLs) now make up nearly one-third of all children ages 8 and under in the United States, and on this webinar, MPI analysts outline key findings from a national demographic and policy profile and series of state fact sheets highlighting characteristics of the growing DLL population and the policy context they encounter in state early childhood education and care (ECEC) systems. Panelist discuss the implications for the ECEC programs and systems that seek to provide equitable access and quality for DLLs, and highlight California's response to the growing population of DLLs in the ECEC system. This discussion explores how the 2014 Greek Presidency of the European Union and the United States can work to address the challenges of managing migration while meeting humanitarian obligations and nurturing economic growth. Marking the release of a report on the barriers foreign-trained high-skilled immigrants face in the United States, this webinar examines programs and initiatives that assist with credential recognition, employment, and relicensure, as well as recent policy developments. Discussants review recommendations for community-based organizations, employers, and policymakers to expand successful efforts aimed at preventing brain waste. Testimony of Margie McHugh, Co-Director of MPI's National Center on Immigrant Integration Policy, before the House Judiciary Subcommittee on Immigration and Border Security, U.S. House of Representatives. A presentation of the first-ever U.S. estimates on the economic costs of brain waste for highly skilled immigrants, their families, and the U.S. economy. 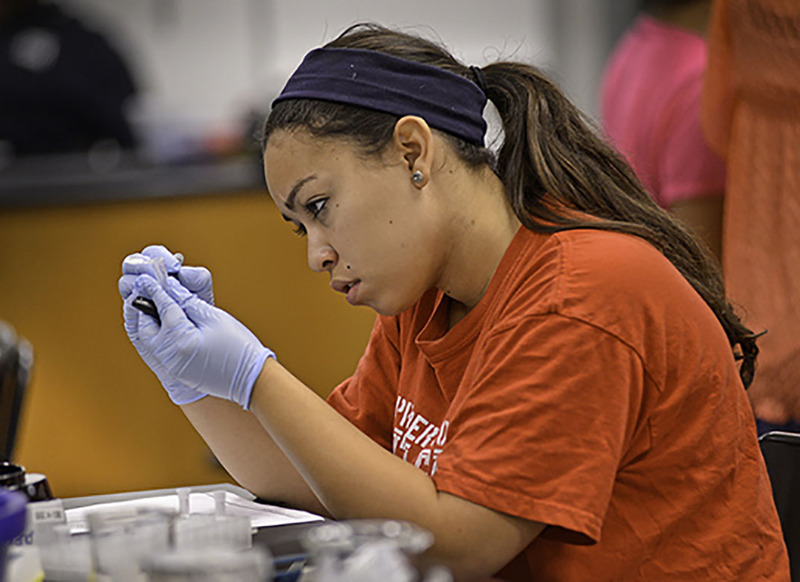 The researchers discuss their findings in terms of the billions of dollars in forgone earnings and unrealized taxes when college-educated immigrants are relegated to low-skilled work. 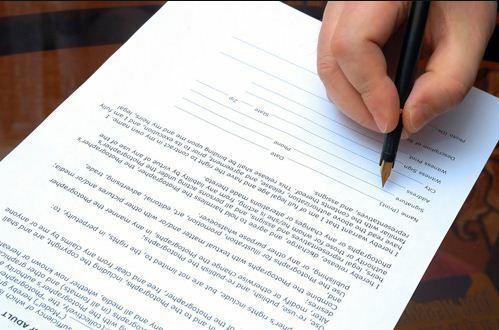 A webinar on language access contracting for federal, state, and local officials, agency administrators, and community stakeholders concerned with the oversight and implementation of language access provision. Nearly 2 million college-educated immigrants in the United States are stuck in low-skilled jobs or are unemployed—a phenomenon known as brain waste. In this brief video, MPI researchers discuss their key findings on immigrant skill underutilization and the resulting billions of dollars in unrealized wages and forgone federal, state, and local tax receipts. This webinar discusses the first-ever profile of the 30 million immigrant-origin adults in the United States who lack a postsecondary credential and offers analysis of the significant payoff credentials could bring in terms of workforce participation and wages. MPI experts discuss their analysis of data on U.S. foreign- and native-born parents with young children, along with their findings from a field study of select two-generation programs that serve immigrant and refugee families. They explore the implications of WIOA and recommendations for successful program and policy design. In this video, Michael Fix and Margie McHugh examine key indicators of ELL students' performance on standardized tests, among other topics. This webinar explores the key education funding mechanisms in place to support English Learner elementary and secondary students in the United States, public conversations about funding, and efforts to improve the equitable distribution of educational resources. 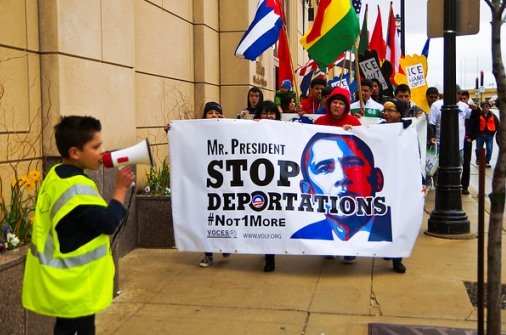 Video of Steps to Fix the US Immigration System: What Can the Administration Do? Steps to Fix the U.S. Immigration System: What Can the Administration Do? This discussion focuses on the MPI report, "Executive Action on Immigration: Six Ways to Make the System Work Better," which outlines administrative actions that can be implemented to improve the immigration system. Marking the fourth anniversary of the implementation of the DACA program, this webinar presents findings on the most current estimates of potential DACA beneficiaries, trends in requests and application rates, and discussion of recent policy and political developments. This panel discussion provided a brief overview of Mexican immigrants in the U.S., the role and function of Mexican consular officials in aiding this population, and reviewed the structure and foci of the Mexican government's Institute of Mexicans Abroad. Report authors and an ELL professional discuss the mechanics of school funding and the specialized services provided for migrant-background students in the United States, Canada, France, and Germany. Speakers also highlight the choices facing policymakers who seek to use supplementary funding to better support effective, high-quality education for children from immigrant and refugee families. 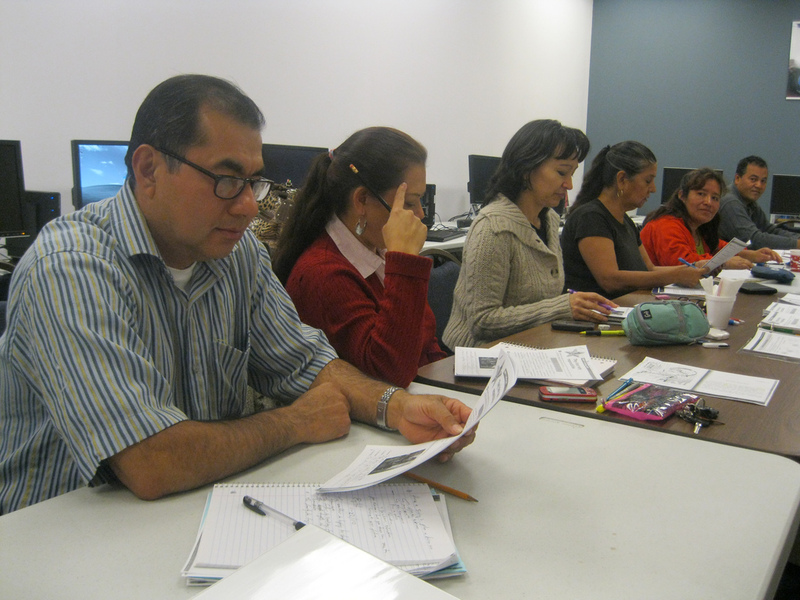 This webinar, with perspectives from MPI, the National Partnership for New Americans, and the National Skills Coalition, looks at the role of adult education and English language and skills training in the immigrant integration process. Video of How Well Are Young Children of Refugees Integrating into the United States? How Well Are Young Children of Refugees Integrating into the United States? MPI analysts discuss the findings of a report comparing young children of refugees to other U.S. children on several key indicators of well-being. A webinar showcasing MPI's data profiles of unauthorized immigrants in the 94 U.S. counties with the largest such populations, as well as the implications of the data for implementation of the Deferred Action for Childhood Arrivals (DACA) and Deferred Action for Parents of Americans and Lawful Permanent Residents (DAPA) programs. Experts Delia Pompa and Margie McHugh examine provisions of the Every Student Succeeds Act (ESSA) related to the success of immigrant and English-learner students during this webinar, answering questions about the new law's implementation and possible impacts. A discussion with MPI experts of the less-examined aspects of President Obama's executive actions on immigration, with respect to immigration enforcement, legal immigration, and immigrant integration. This webinar offers a discussion of the economic, linguistic and educational disadvantage experienced by U.S. children with unauthorized immigrant parents. The MPI researchers discuss their finding that 86 percent of the 5.1 million such children in the United States have a parent who could potentially benefit from the Deferred Action for Parents of Americans and Lawful Permanent Residents (DAPA) program. In this webinar, experts and policymakers from Europe and the United States discuss the relationship between immigration, residential segregation, community relations, and economic opportunities. A webinar discussing fact sheets that compare the characteristics of immigrant and native-born residents that are relevant to understanding needs for adult education and workforce training services in the United States and the ten states with the largest immigrant populations. Estimates of unauthorized immigrant populations that could receive relief from deportation under potential executive action scenarios to expand the Deferred Action for Childhood Arrivals (DACA) program, extend deferred action to other populations, or refine immigration enforcement priorities are discussed during this webinar. In this webinar, the authors of three papers on the experiences of refugee children present their findings, with a focus on how such experiences affect their mental health and education. This webinar exploring findings from MPI's report, Critical Choices in Post-Recession California: Investing in the Educational and Career Success of Immigrant Youth, which focuses on the implications of California's public education system reforms for the state's 3.3 million first- and second-generation immigrant young adults and their families. This webinar examines the challenges facing educators and policymakers in Europe and the United States as they attempt to meet the needs of immigrant and refugee students who arrive during their middle and high school years. 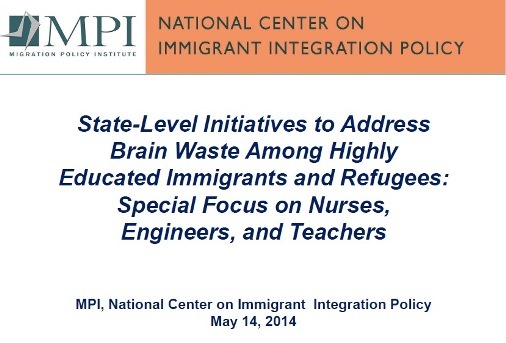 A discussion of data compiled by MPI on "brain waste" among foreign-trained nurses, engineers, and teachers, with updates on three state-level initiatives—in Illinois, Massachusetts, and Washington State—that are working to analyze and address challenges faced by immigrants and refugees with degrees and training in these fields. Video of Unaccompanied Child Migrants in the United States: How Are They Faring? Marking the release of an MPI brief, this webinar examines data on where unaccompanied child migrants are being placed in the United States, how they are faring in immigration courts, what services are available to them, and how U.S. communities are adapting to their arrival. This panel discussion on unaccompanied minors focuses on a report by Kids in Need of Defense and the Center for Gender & Refugee Studies at UC Hastings College of the Law, whose primary conclusion is that children face a U.S. immigration system created for adults that is not required to consider the child’s best interests. This webinar discusses the different policies that states have on unauthorized immigrants and in-state tuition, financial aid and other benefits, and the implications for unauthorized immigrant youth seeking two- and four-year college degrees. The winners of the Migration Policy Institute's 2013 E Pluribus Unum Prizes, honoring exceptional immigrant integration initiatives in the United States, discuss their work at an award ceremony on December 4, 2013 in Washington, DC. This webinar examines the implementation at state and local levels of the federal Workforce Innovation and Opportunity Act (WIOA) and how it may limit immigrant integration, along with a discussion on strategies that may help ensure more equitable access to services. During this online chat, MPI researchers discuss their findings in an MPI brief, Deferred Action for Childhood Arrivals at the One-Year Mark: A Profile of Currently Eligible Youth and Applicants, that provides the most up-to-date estimates of the current and prospective DACA population by educational attainment, English proficiency, state of residence, country of origin, age, gender, labor force participation, poverty, and parental status. A report release where authors discuss the effects of parental deportation on the children of immigrants, the related needs for health and social services, and U.S. policy responses to protect these children. MPI’s National Center on Immigrant Integration Policy convened a major public policy research symposium focused on young children of immigrants in the U.S.
An expert discussion on the findings of the National Agricultural Workers Survey (NAWS) related to immigrants, along with an overview of farm labor in 2015 and discussion on how current and possible future immigration policies might impact immigrant workers in the agricultural sector. The winners of the Migration Policy Institute's 2012 E Pluribus Unum Prizes, honoring exceptional immigrant integration initiatives in the United States, discussed their work during a plenary luncheon on September 24, 2012 at the National Immigrant Integration Conference held in Baltimore, MD. On this webinar, researchers explore the types of discrimination that young children of immigrants may experience, the related educational, psychological, and social impacts, and recommendations for addressing discrimination. Join MPI as U.S. Citizenship and Immigration Services Director Alejandro Mayorkas discusses the application process and policies that the agency has announced to implement the administration’s deferred action program. The Migration Policy Institute celebrated its first decade as the authoritative, unimpeachable resource on immigration and immigrant integration analysis and policy design in the United States and internationally. This MPI webinar features U.S. Department of Justice (DOJ) officials discussing the department’s efforts to improve communications with Limited English Proficient (LEP) communities in federal and federally-funded programs and activities. On this webinar, MPI experts provide data on characteristics of the potential applicant pool for the Deferred Action for Childhood Arrivals (DACA) program, and examine the rates of DACA renewals and adjudications. The webinar also focuses on some of the issues impacting the rate of renewals. A discussion on the gains that young adult immigrants or the U.S.-born children of immigrants have made in education and employment, with speakers: Michael Fix, Jeanne Batalova, Andrew P. Kelly, Raul Gonzalez, and Margie McHugh. A discussion of the findings of a new MPI report examining refugee characteristics at arrival for the ten largest national-origin groups resettled between 2002-2013, as well as their integration outcomes with respect to employment and incomes, English proficiency and education levels, and public benefit use. In this webinar, experts discuss barriers immigrant and LEP individuals face in accessing the WIA system, how a revitalized WIA could address these barriers, and the extent to which the current Senate Health, Education, Labor, and Pensions (HELP) Committee's WIA reauthorization proposal addresses these barriers. On this webinar, MPI analysts present the findings from their report Immigrant and Refugee Workers in the Early Childhood Field: Taking a Closer Look, and discuss the issue with a leading expert in the field of child-care worker employment. This interactive language access webinar, one in a series offered by the Migration Policy Institute's National Center on Immigrant Integration Policy, examines how New York and Illinois have broken down some of these barriers to proactively engage LEP communities to obtain workforce services. A discussion with the Director of The White House Domestic Policy Council on the content of the new National Integration Plan delivered to the President by the recently created White House Task Force on New Americans, along with the plan for implementation. Public Policy Institute of California (PPIC) research fellows Magnus Lofstrom and Sarah Bohn, and UC Berkeley professor of public policy Steven Raphael are issuing a new report that examines whether LAWA achieved its primary aims: reducing the unauthorized population, deterring their employment opportunities and improving employment outcomes of competing authorized workers. Their analysis also investigates whether Arizona’s legislation induced a shift away from formal employment. A webinar examining the shifting pattern of Central American child and family migration between 2011 and 2014 and expectations for 2015, the policy challenges presented by the rising inflow, and how states, localities, the U.S. government, and other countries in the region are responding to this recent trend. This important MPI report challenges the conventional wisdom about the immigrant workforce, using a sophisticated new method of analysis that permits deeper examination of how workers – immigrant and native-born – fare by economic sector, the skill level of their jobs, and educational attainment. 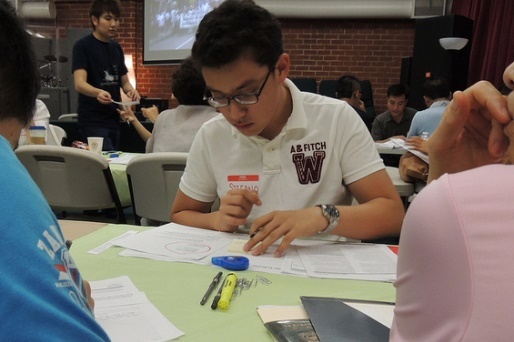 Part of a series exploring issues likely to be addressed by the new National Integration Plan, this webinar, with perspectives from the cities of New York and Seattle and others examines possible recommendations on federal coordination of local government immigrant integration initiatives, including language access. Award winners were honored at the second annual awards ceremony in Washington, DC, on May 18, 2010. This webinar, with perspectives from MPI, the WE Global Network, and Lutheran Immigrant and Refugee Service, examines the role of economic development initiatives and refugee resettlement programs/infrastructure in immigrant integration. Award winners for the inaugural year of the E Pluribus Unum Prizes program were honored at a reception at the Library of Congress in Washington, DC in 2009. Marking the release of an MPI report, this webinar examines what the growing intersection between U.S. immigration and child welfare systems means for protection agencies. Speakers also discuss promising child welfare policies and agency approaches to address the needs of children of immigrants and their families amid demographic change and rising immigration enforcement. Is U.S.-Mexico Cooperation on Migration Possible? Over recent months, the number of Central American migrants apprehended at the U.S.-Mexico border has surged, presenting a critical challenge in the relationship between the two neighboring countries. Experts from a Study Group on U.S.-Mexico Migration convened by El Colegio de México and MPI discuss current trends, policies, and politics surrounding migration from the Northern Triangle of Central America and the U.S.-Mexico relationship, ways to improve U.S. and Mexican asylum systems, possible new approaches to labor migration, ways to address smuggling networks, and modernize border management. International vs. National Protection for Refugees: Diverging Trends? MPI's Kathleen Newland, Refugee Council USA's Mary Giovagnoli, and David Scott FitzGerald, author of Refuge beyond Reach, discuss how and why international and national responses to the rising challenge of refugee displacement are diverging. In his first public address during his inaugural formal visit to Washington, DC. Durante su primera visita oficial a Washington, DC, la Secretaria de Gobierno Olga Sánchez Cordero presento un discurso público sobre la nueva política migratoria de México en el Instituto de Políticas Migratorias. On her first official trip to Washington, DC, Secretary of the Interior Olga Sánchez Cordero offered a public address on Mexico’s new approach to migration policy at MPI. Her remarks and the event discussion were mostly conducted in Spanish, and this recording is of the simultaneous English interpretation. 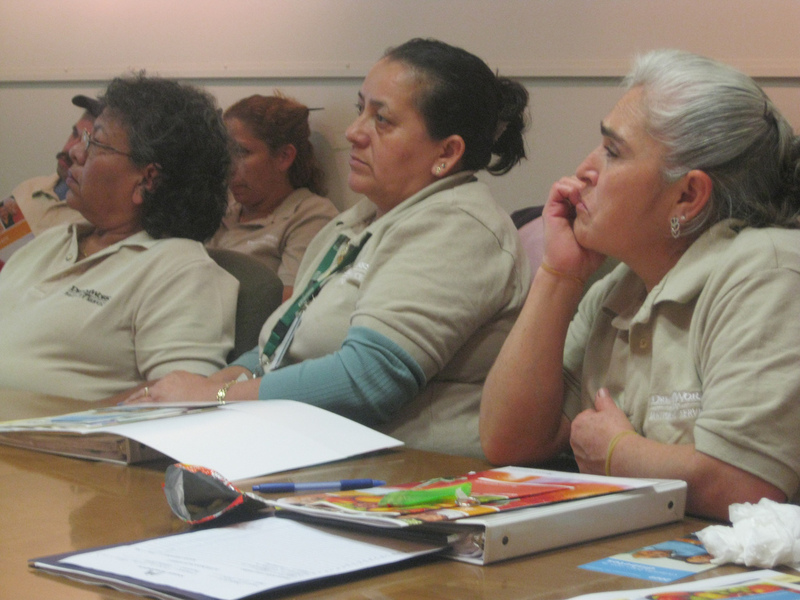 This MPI webinar focuses on reception and reintegration services for returning migrants, along with the heightened pressure policymakers in Mexico and Central America are facing to design systems and programs that support both returnees and the communities in which they settle. On this webinar, MPI researchers and Utah and Colorado refugee coordinators explore promising practices to better serve refugee families, including education services for refugee youth, innovative efforts to secure better jobs for adult refugees, and other services designed to aid integration over time. In advance of the December 2018 adoption of the Global Compact for Safe, Orderly, and Regular Migration, which includes a commitment to facilitate the return and reintegration of migrants, this webinar examines the policies, practices, and contextual factors that make compulsory returns such a difficult issue for international cooperation. Where can you find the most accurate statistics on some of the top immigration issues—ranging from the size of immigrant and emigrant populations, to humanitarian and labor flows, naturalization rates, enforcement statistics, remittances, and more? Demetrios Papademetriou, President Emeritus of MPI and President of MPI Europe, explains the origins of the refugee crisis in Europe and discusses actions that Europe and other regions can take in the near and long term to address the flows. This easy-to-use online guide compiles some of the most credible governmental and authoritative nongovernmental data sources pertaining to immigrants and immigration in the United States and internationally. The guide directly links users to more than 220 data sources, organized by topic and region, and offers tips on how to access more complicated datasets. MPI researchers are called on to testify before the U.S. Congress and other government bodies on issues ranging from border security and visa policy, to refugee admissions and education. Read their prepared remarks to these legislative bodies. Wondering the impact of potential cuts to U.S. legal immigration? This interactive tool models the reduction in green cards that would result from proposals to eliminate certain permanent immigration categories, such as the diversity visa or family-sponsored preferences. Users can select different scenarios, displaying effects for the top 20 countries of origin for each category. Find reports, articles, and other MPI resources on migration to and from the United Kingdom, all in one place.